Teenage goal setting has to be one of the most important practices teens can possibly do for both their present and future and they don’t even know it. Feelings of being overwhelmed and depressed can often stem from an overworked schedule with no light at the end of the tunnel. Goals help change that mindset but most teens don’t know how to use this tool. 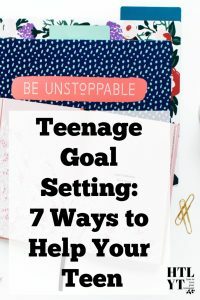 We must keep in mind with teenage goal setting, there are elements outside of themselves needed to help them achieve those goals and these ways are not an exhaustive list but a starting point for you to join hands with your teen and start rocking out some goals. I remember being a rebellious high school student, mean, angry, and with no vision for my future. I also remember those very few people who tried to speak life into me. A teacher who said, “One day I will see your name in lights!”, a college cheerleading trainer who was the first one to talk to me about going to college and gave me a glimmer of hope, and a cheerleading parent who showed me love regardless of being a pregnant teen. Even though my life at the time couldn’t get past the immense darkness it was in, I often reflect on those very few people who chose to see more than I could. Click here for some tips on how to talk with the teen in your life. Who are you speaking life to? Or are you doing what everyone else does and reaffirming the negative in a teenager’s life? “But the Lord said to Samuel, “Do not look on his appearance or on the height of his stature, because I have rejected him. For the Lord sees not as man sees: man looks on the outward appearance, but the Lord looks on the heart” (1 Sam. 16:7). Can we see what the Lord sees in the teens of our lives? Now, let’s get to goals! I’ve done lots of research in marketing recently. I’ve both noticed and heard anyone who is successful has goals in place. If you don’t already know, you can research it for yourself and you will see goals are an ingredient to success. Goals gives teenagers focus, it gives them direction, and it gives them a tangible plan to hopefully achieve what God has in store for them. Helping the teen in your life set and reach some goals, helps produce HOPE. Hope is the overflow from the love of Jesus Christ. When it is allowed to be fleshed out in steps towards the will of God for your teen’s life, we help them join hands with heaven for the sake of their future and soul. Here are a few tips on teenage goal setting to help you and your teen both find and achieve goals this year. Yes, I said you and your teen. We all need help journeying this life and what better place to have than front seat to your child’s journey. Unfortunately, people forget the power of prayer. Your voice and their voice aimed heavenward to the One Who knows exactly what He has for their life is not only wise it’s vital. Knowing what God wants for their life requires prayer from both you and them. It gives you insight on how to pray for them but it can also give you affirmation even if you think a certain plan or goal is crazy. God doesn’t work the way we do all the time. Sometimes, it looks more upside down than right-side up. It’s understanding His plan is greater whether we agree or disagree. Prayer gives strength, wisdom, direction, you name it, prayer provides it. When we create a habit of prayer, they will in turn be trained and learn how to do the same. Write those goals down! Goals, dreams, ideas, scriptures, anything the Lord brings to mind. 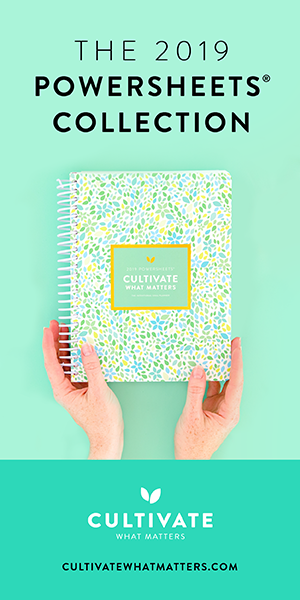 I’m currently using a “Cultivate What Matters” goal planner myself which helps break everything down. You can find it here. Do it along with your teen and maybe help undercover any dreams you may have! Keeping a record of goals can help keep a record of growth. Bring them to art museums if they are an artist. Bring them to college fairs and talk to college recruiters about possible careers. My daughter had no idea what she wanted to do for the rest of her life (it can be difficult for them at this age to think about their whole life) but after talking to a few recruiters she got a pretty good idea of possible career choices and it got her excited. Teenage goal setting can help bring excitement. Excitement means hope, hope brings life and excitement can be contagious (even if they don’t show it, it can affect them deep down to know someone is rooting for them even if they aren’t there for themselves yet. Hope is lost amongst this generation. They are walking around like zombies dead in their insecurities and negative opinions from others completely overwhelmed with stress. For biblical advice on managing teen stress, click here. They need life. Excitement helps bring the blood flowing through their dreams again. The reality is with Jesus we ALWAYS have renewed life which brings hope. He is the very definition of hope. It’s a gift and promise from God. Even if you have lost hope, whether in your teen years or in your life in general, then let this be a reminder to you too. Hope is timeless and eternal. It’s offered not just for your teen but for you also. Teens feed off what is found in their home. If you have no reason to hope, they don’t either. Get excited about their future and get excited about your future. They have purpose just like you have purpose. I have found many adults are bitter towards the younger generation because of what they themselves couldn’t achieve. Are you alive? Are you breathing? Every breath is a second chance to go for God’s will in your life! Link arms with your teen and get to it! We cannot do this life alone. No, you did not come into this world alone. I’m pretty sure there were doctors, nurses, staff, your Mom, etc. Even if your Mom or Dad left you at a young age, someone still had to take care of you. Otherwise, you wouldn’t have survived as a baby. This is not to discredit any hurt you have experienced growing up but to show we cannot live this life alone. This includes your teenager. Connect with people at your church, college mentors, people in the careers they want, or whoever God puts in your path. Teens need to know people have their back, people believe in them, and they are heard and supported. I’ve been in the presence where teens have had life spoken into them and the results are miraculous. They not only blossom but in turn they become the voice of life of which life is spoken. I have had many experiences where both my daughter and the teens I have worked with have spoken life back into me. I can’t tell how sweet those words have been. Progress always helps build and maintain excitement which leads to more hope. Help them start knocking off some small goals so they can see they are indeed attainable. Point out growth whenever you see it because it’s most likely they won’t. Remember, we are fighting a nasty devil who seeks to keep them imprisoned with beliefs systems like “not good enough”. Remember who your enemy is, it’s the devil NOT your teenager. Sometimes there are goals that seem unattainable at one level but may be more attainable at another. For instance, let’s say your teenager wants to get a job but struggles with anxiety and feels like they will never be able to. First, try finding a Christian counselor or trusted Pastor who can help them start dealing with that anxiety. Once they start improving and feeling more confident, then try going out and finding a job. You can also start talking about what the future may look like maybe take a couple of steps towards it. This way you don’t have to wait for them to be more mentally stable in order to revisit this goal. For instance, you may want to talk to a manager ahead of time and just have a conversation with them about your teen’s struggles. 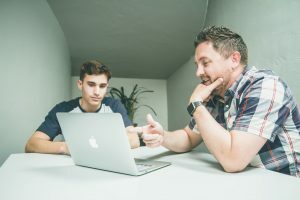 Then the following step may be to set up a meeting later with the same manager and your teen just to talk about what work looks like with no strings attached. Maybe take a tour, talk to some workers, the possibilities may be endless! Now I may have a few naysayers jump in here but hear me out. Rewards are from God. Yes, they are Godly! When we are obedient, when we work hard, God blesses, rewards, and loves on us. 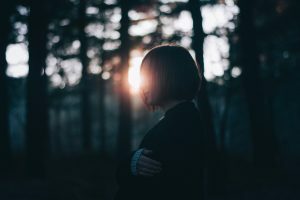 Can we do the same for our teen? When you put in the work for teenage goal setting, why not point out all the fruit that came from it? 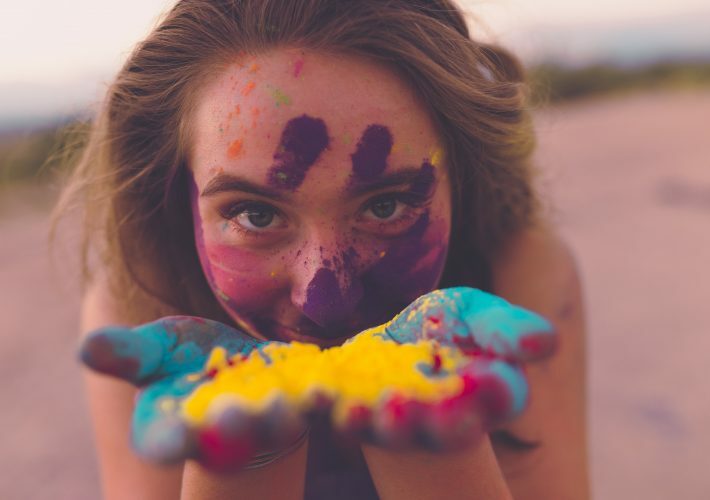 Rewarding doesn’t have to be a brand-new car (although it can be) or hundreds of dollars thrown at their feet (if this is you…please adopt me…loll!). It can be as simple as a movie date with them, a day ski trip with the church, or a book they’ve always wanted to read. Again, the possibilities may be endless. Remember, it’s okay to reward your teen. Some believe teens MUST go through torture or harsh discipline or deficiency so they can “learn”. They may not learn exactly what we want them to by holding back positive results from hard work. It can cause resentment, anger, and other negative feelings not from God. God is a good God and He wants us to experience some of the amazing things He has created. Holding back goodness, is holding back experiencing God. All teaching doesn’t have to be harsh. Think about it. You work, you get rewarded with money (I know it may not always be the amount you want but somehow you get rewarded hopefully). There are several examples of how God rewarded His people in the Word of God. Research it if you feel otherwise. I’m not talking about prosperity gospel either. I’m talking about hard work producing good fruit. Praise God for the Holy Spirit to let us know when our heart is off balance in this area. I pray you hear what I’m saying. Sometimes a reward can even be a hug, a kiss (remember with the hugs and kisses I’m talking about appropriate, healthy, and Godly affection not sexual abuse), or just affirmation for who they are. A simple, “Good job!” can speak volumes. Surely, we can offer them that. If you can’t, really visit the reason why. 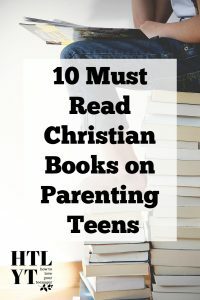 Click here or down below for some great Christian book suggestions in case you didn’t grow up in the healthiest household and may need help learning how to parent your teens in a Godly way. I pray these tips help you and your teen live life the way God intended. Not just wasting away or giving up but leaning into Him and allowing Him to refresh, renew, bring life, resurrect, and connect. 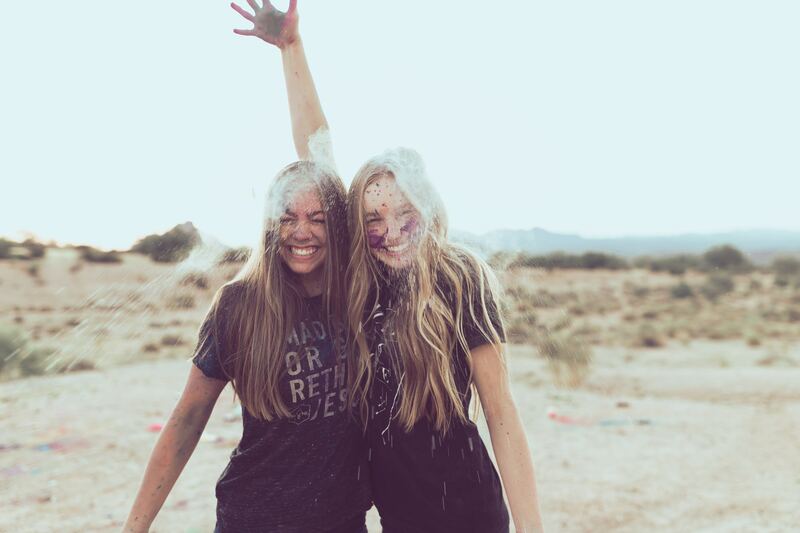 What teen can you speak life into? Ask God to open your eyes both physically and spiritually to not only see them but speak prophetic words over them. It doesn’t have to be weird either. 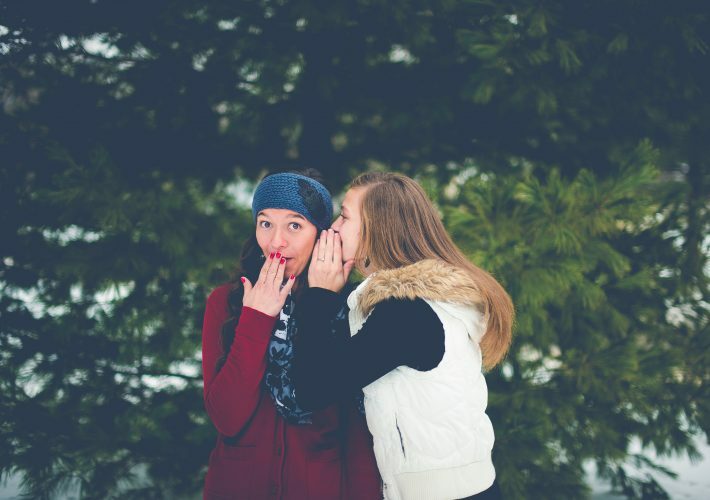 Just normal conversation about the talents and gifts you see in them or if God has something unique to say to them, say it. Help spread the seeds that can blossom into something beautiful. You never whose life you can save by doing so. This is such a great post Nina! I love that you are taking time to specifially adress teen issues. I have 2 teenagers now- (one just turned 13) – and God knows I can use ALL the help I can get. And I thought parenting toddlers was hard! I love the idea of setting goals with them. And I think it’s so great in rewarding our kids when they choose/do right. Whenver I simply tell my son I’m proud of his hard work or tell him “good job”, he just beams! Love this!